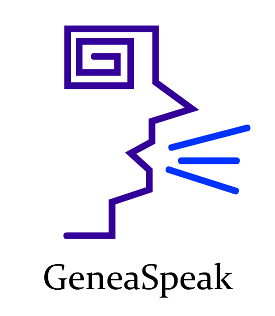 UpFront with NGS: Looking for a Genealogy Speaker for your Society, Conference or other event? Looking for a Genealogy Speaker for your Society, Conference or other event? Summer is a great time to set up your fall programming and start thinking about your 2012 programs. Whether you are seeking national or local genealogy speakers, here are three places where you might look for such speakers! The members of the Genealogical Speakers Guild, have compiled information about themselves as speakers making it easy for you to find them. You may search the Directory of Members alphabetically by speaker or by location of residence of the speakers. Program planners may also wish to visit the "Speakers' Calendar" page to determine when speakers may be appearing in your state. Speakers and presenters who are currently on the genealogy speaking circuit and have a familiarity with blogging and using Google Calendars, can request author access by emailing [email protected]. Speaker Wiki is a free speaker directory that has been written collaboratively by thousands of event planners, speakers, and agencies around the world. It currently lists almost 6000 speakers from around the world.